This week we explore how nature affects our mental health and some interesting ways to restore our mental balance. Research says that one in six people will experience depression at some point in their life. Depression is a prolonged state of sadness which severely affects how one feels, thinks and acts. It can strike anyone, anytime and leads to a variety of physical and emotional problems that can affect one’s ability to function at work and home. In today’s stressful world it is important to become aware of how the environment we live in affects us and actively seek out ways to take care of our mental health. Let us take a journey into our mind, through nature. Note: This article covers tips to take care of our mental well being through nature. It is meant as a preventive plan of action and is beneficial for most people . Nature therapy is not a substitute for medical or psychiatric treatment. People with serious psychiatric disorders should consult qualified medical practitioners and seek a balanced approach to treatment. By 2020, mental health disorders, depression in particular, are projected to be overwhelming health-care concerns, and cities are far from a panacea for depression. Indeed, rates of depression, anxiety, and schizophrenia are consistently reported to be much higher among urban residents. Here’s some good advice from Anita R., a clinical psychologist. “Mental health remains one of the most problematic areas because it is least understood and yet the most stigmatised. People are still hesitant to ask for help. Having said that, it doesn’t mean that everybody needs to go for help. There are a lot of things that we can do to prevent at least some of the seriousness of suffering. I personally believe that it’s a balance that we are not able to bring about in our lives. Things like looking after your wellness which includes physical fitness, eating the right kind of diet, avoiding certain kinds of unhealthy habits, getting on your nature walks, just spending time outside and, definitely working on your own self, your interests, your hobbies because that kind of all-around wellness gives you a much better safety net to manage mental health issues. Here’s a list of some simple forest meditations to try out in nature. Sense walk – Walk or sit silently in the forest. Focus on any one sense at a time for a short period of 5 to 10 minutes. Make a note of all the unique things you can observe and sense. Repeat the exercise with another of your senses. Notice how each sense reveals something new about the nature around us. The aim of this exercise is to bring us into the present moment and stop our thoughts from leaping into the past or future. Gratitude tree – The aim of this exercise is to create a picture of a tree on the ground with things you find fallen around you. Every branch of the tree you create should be decorated with something you are grateful for. Find things to be grateful for in nature, in people around you and in your self. Soaking in the forest – Find a place in the woods that calls out to you. Sit silently and observe the peace in nature around you. Imagine every pore in your skin is soaking in this tranquility and absorbing the calm of the forest like a sponge. Carry the calm of the forest back with you and return to it anytime you need it. A group of researchers from Stanford University thought the nature effect might have something to do with reducing rumination. Rumination is what happens when you get really sad, and you can’t stop thinking about your glumness and what’s causing it: the breakup, the layoff, that biting remark. Rumination shows up as increased activity in a brain region called the subgenual prefrontal cortex, a narrow band in the lower part of the brain that regulates negative emotions. If rumination continues for too long unabated, depression can set it. There are many ways we can enhance the production of serotonin in our brain, naturally. Exercise is one of them, so is sunlight and spending time in nature. After a nature session, brain scans showed a sizeable reduction of blood flow to the region of our brain linked to sadness, withdrawal and general grumpiness. Using nature to bring back awe, wonder and fascination in our lives can help short-circuit the spiralling cycle of depressive thoughts. END NOTE: Ultimately each one of us has to take the responsibility for our own mental health and well being. Reconnecting with nature is a simple and effective way. 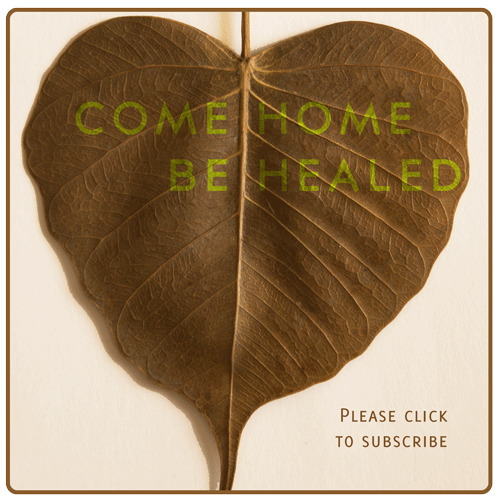 If you have any personal stories of healing to share, please add them in the comments section to inspire others. You can subscribe to our monthly blog posts here. We are a small group of friends trying to find new ways to reconnect people with nature. Our aim is simple. Helping people heal. Helping forests heal. Whenever I feel down or stressed out I take a drive to the country. It’s amazing that as soon as I start seeing fields and trees I breathe better, I relax, I can actually fell my neck and shoulders relaxing. Living in the city can be stressful. The noise of traffic, construction, the rush of everyone and everything….but when I look at trees, and fields it’s just so peaceful.